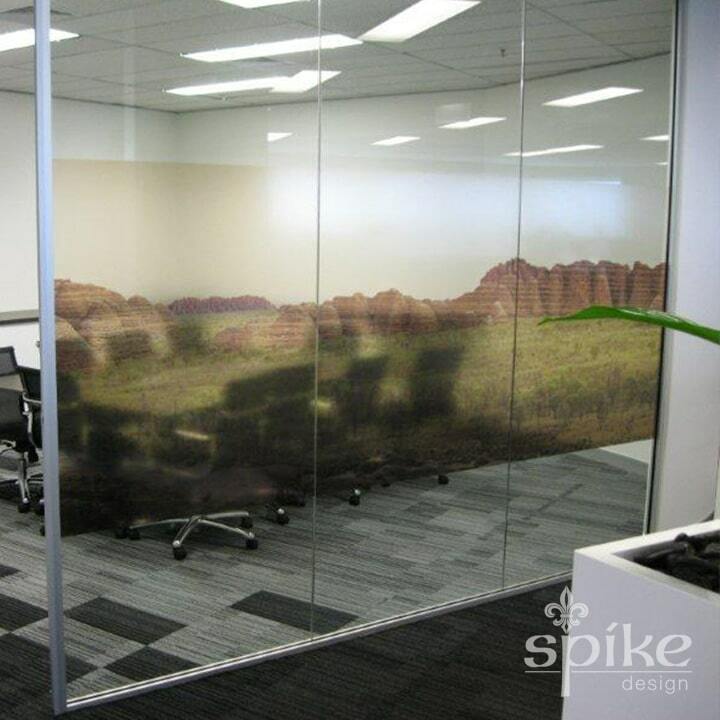 Interior Office Graphics and Signage Installers. 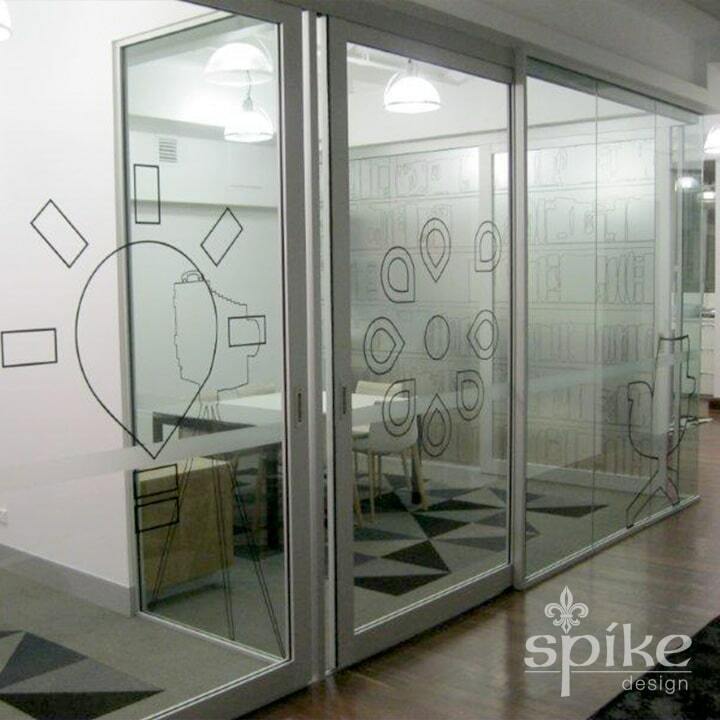 Our regular clients include building and construction firms from all over Australia. 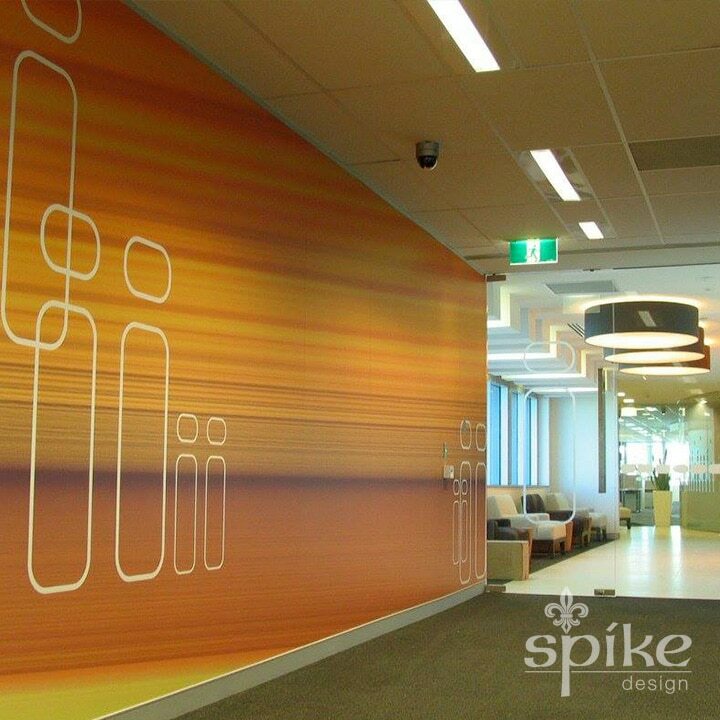 Signage manufacturing companies also rely upon Perth Sign Installers to fit interior office graphics and signage. 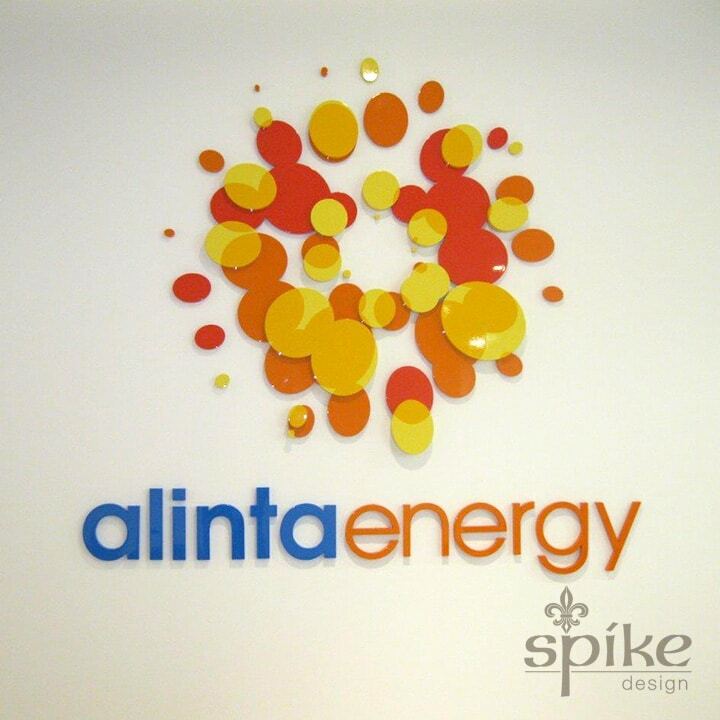 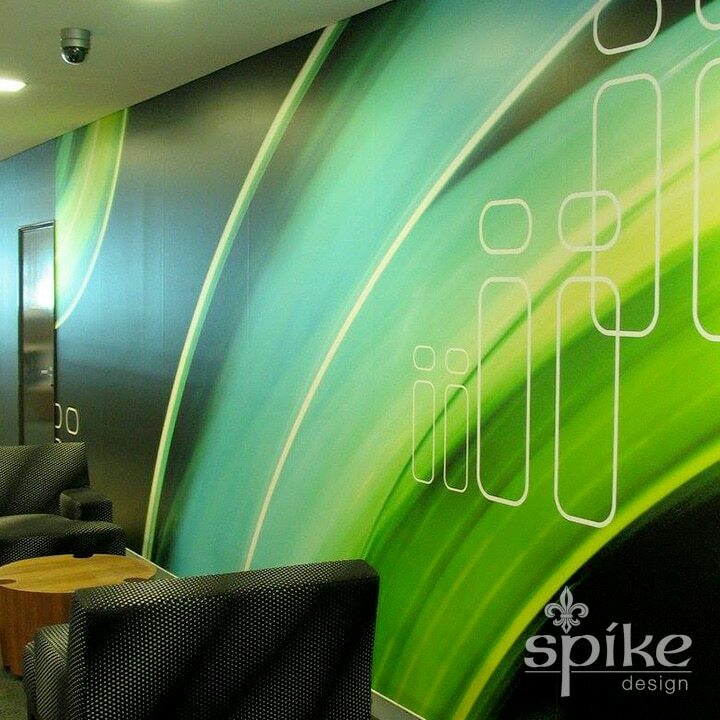 View the examples below and then contact us today for office graphic installation services. 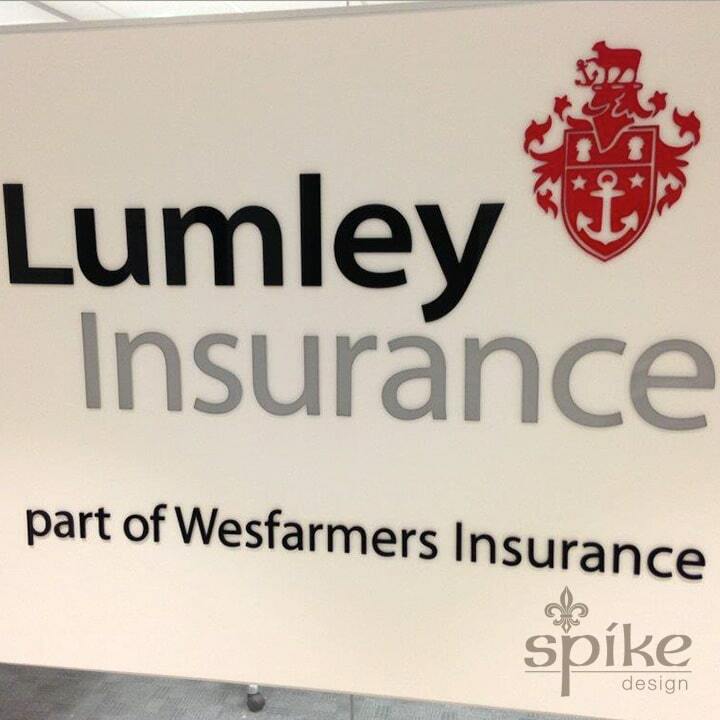 We install office signage on behalf of building and construction firms, as well as signage manufacturing companies. 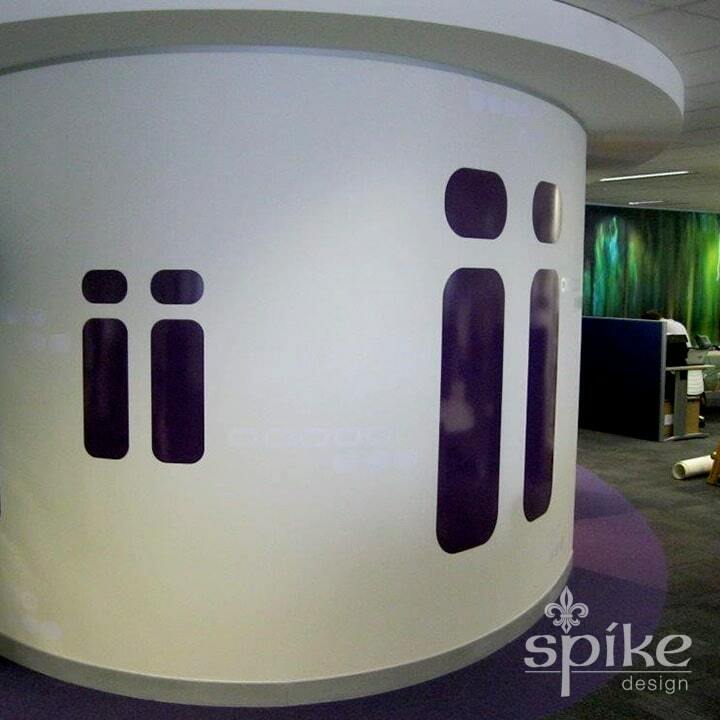 These clients supply us with their client’s 3D and cut out reception lettering, then rely on us to complete the installation. 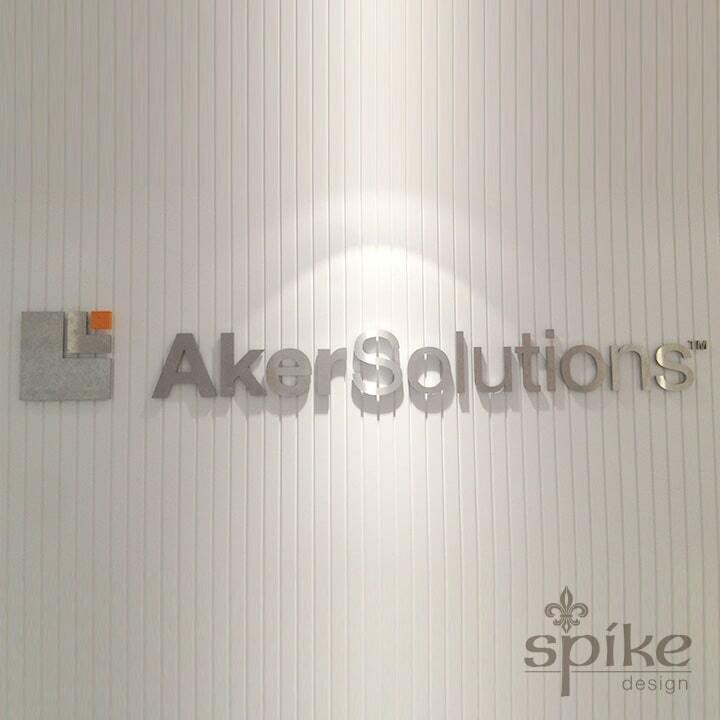 The finished product brings business branding to life, with a thickness, depth and natural shadow effect. 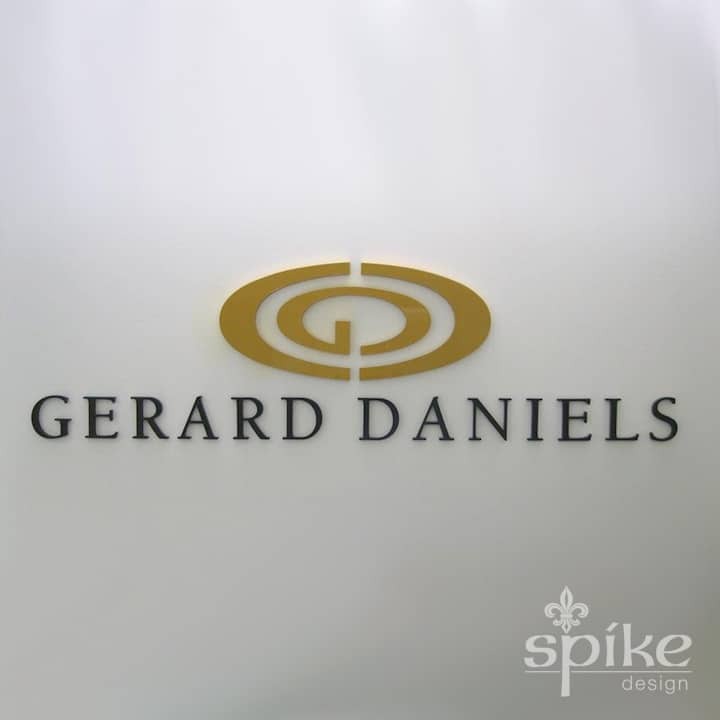 A common theme we see is the extension of business logo usage and branding on office directional signage. 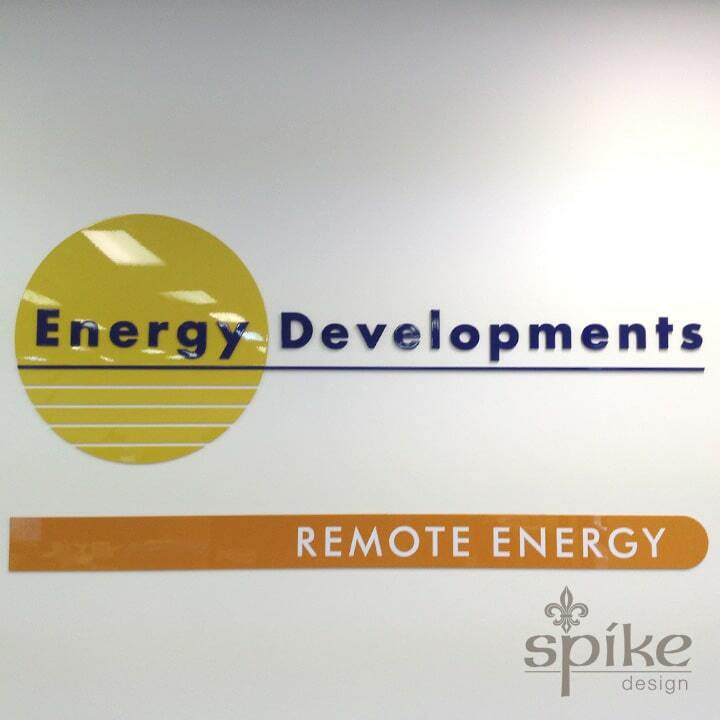 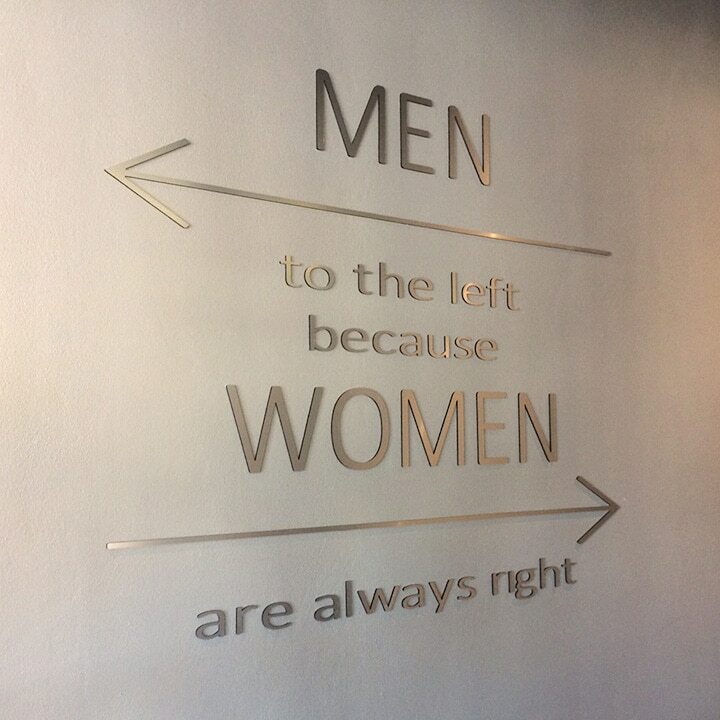 Our team ensures that the directional signage we receive is installed consistent throughout client office premises and to the highest industry standards. 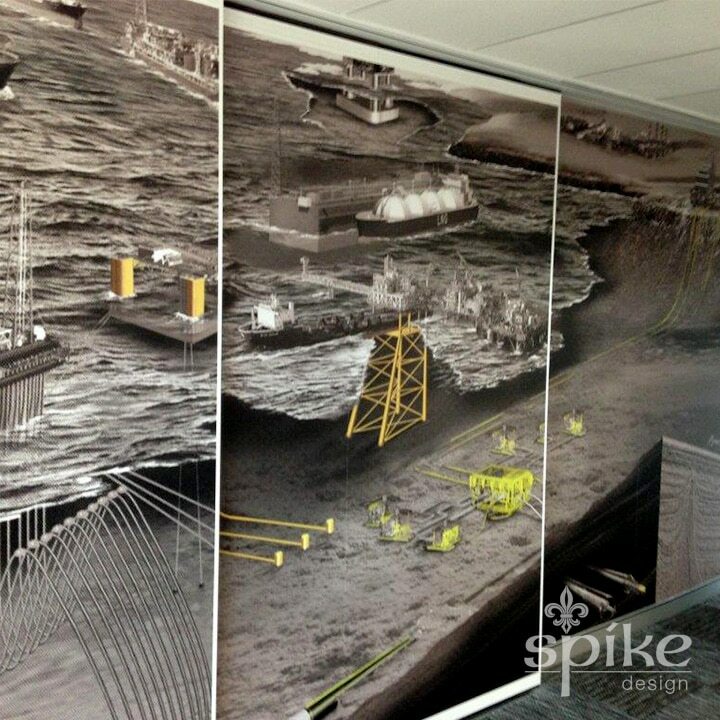 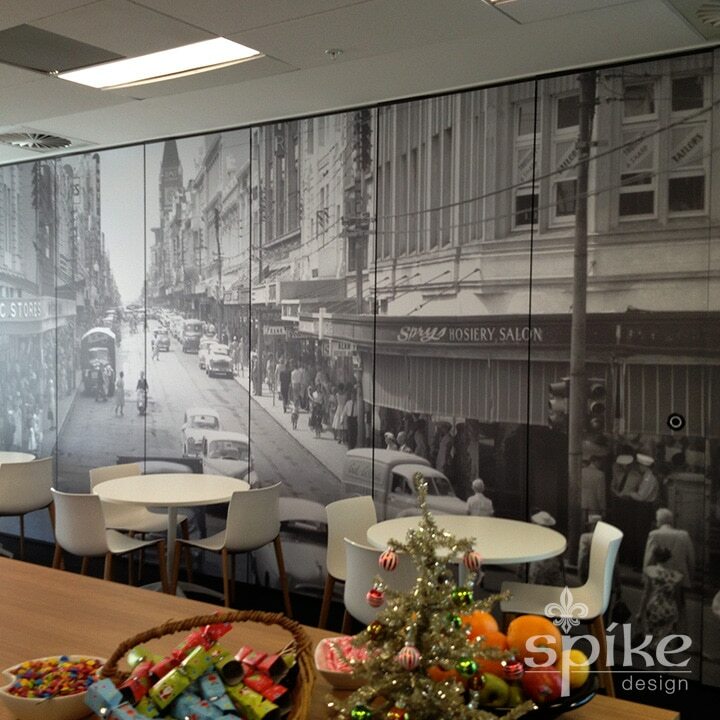 We also regularly install digital prints, in the form of murals. 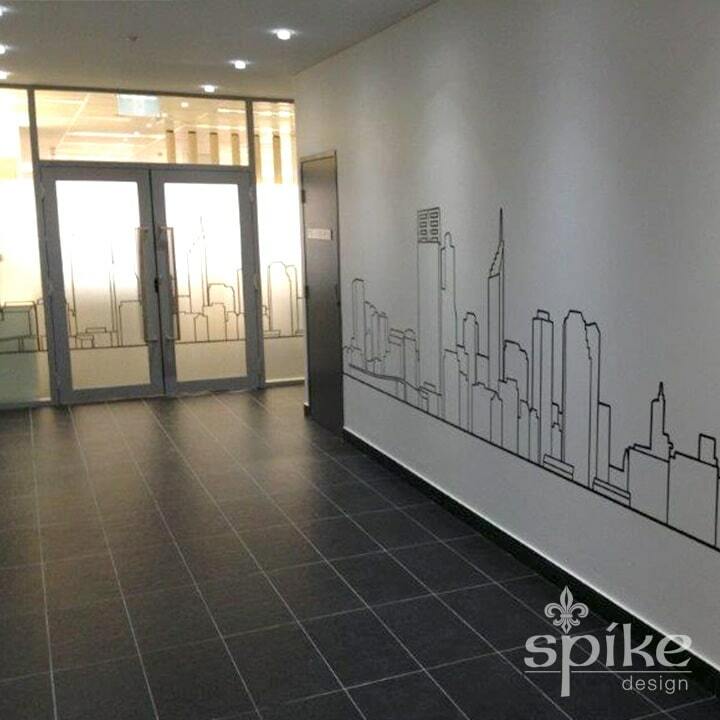 These digital print office graphics are used for communicating visual impact, and to thematically brand an office space. 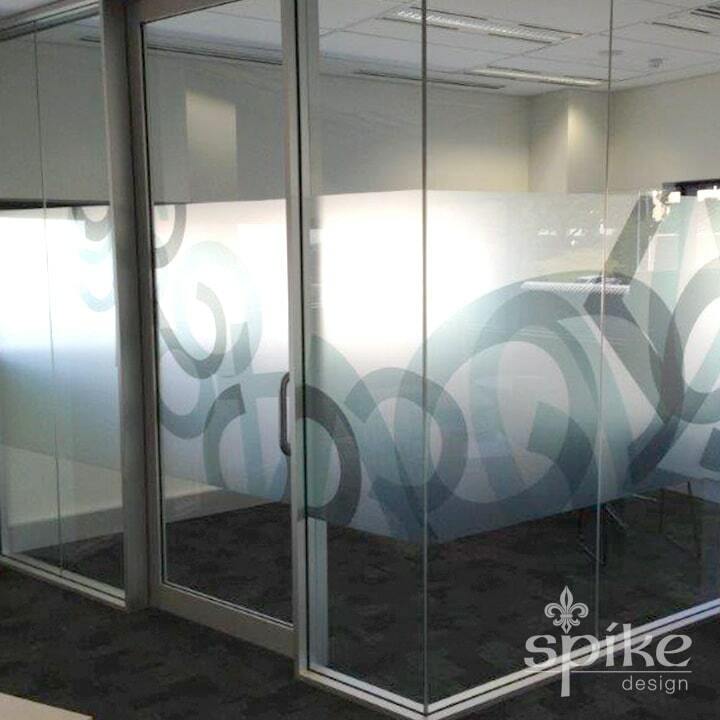 Perth Sign Installers possess the expertise to ensure the office graphics we are supplied with are professionally installed to the surface of your client’s choice. 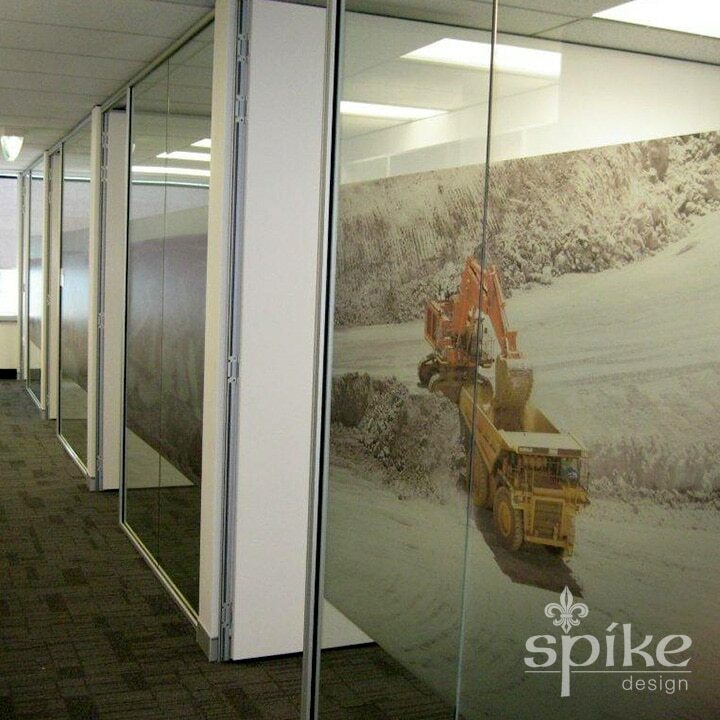 We appreciate the end result just as much as our clients, with our step-by-step involvement in the stunning transformation of otherwise monotonous wall space. 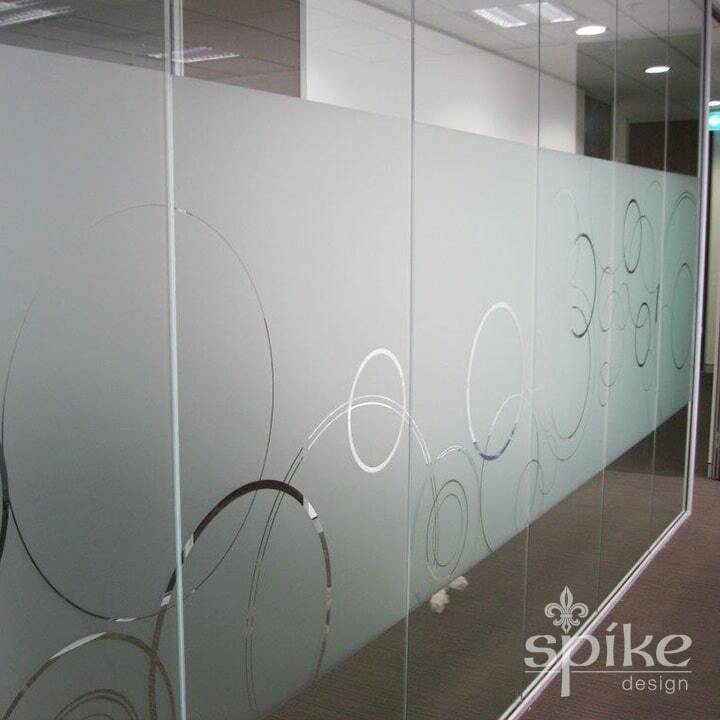 One of the most common requests we receive is to install window frosting in office environments. 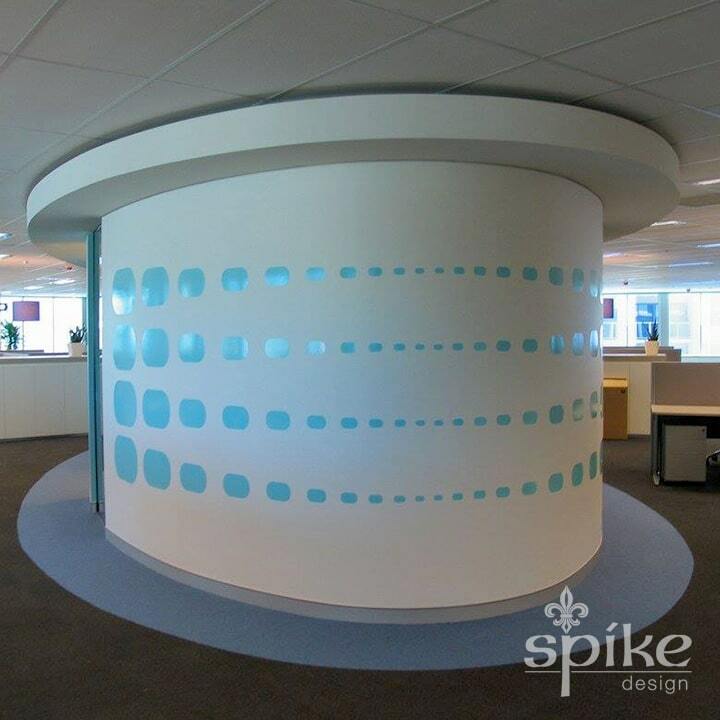 The frosting we have installed can be in the shape of a stock standard pattern, or in a digital print format. 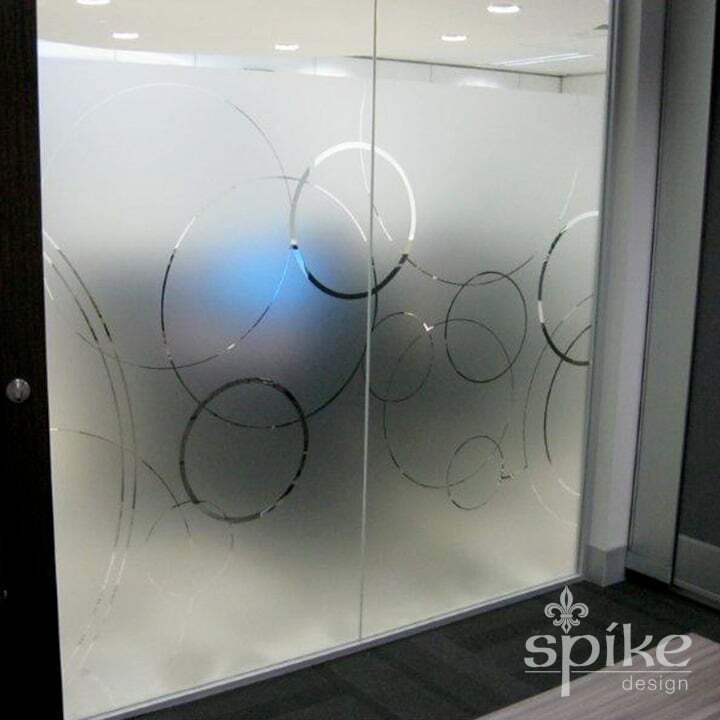 Whether it be an artistic use of the business branding, or panoramic photography of project work, we install the frosting to ensure the privacy of office and/or meeting room occupants. 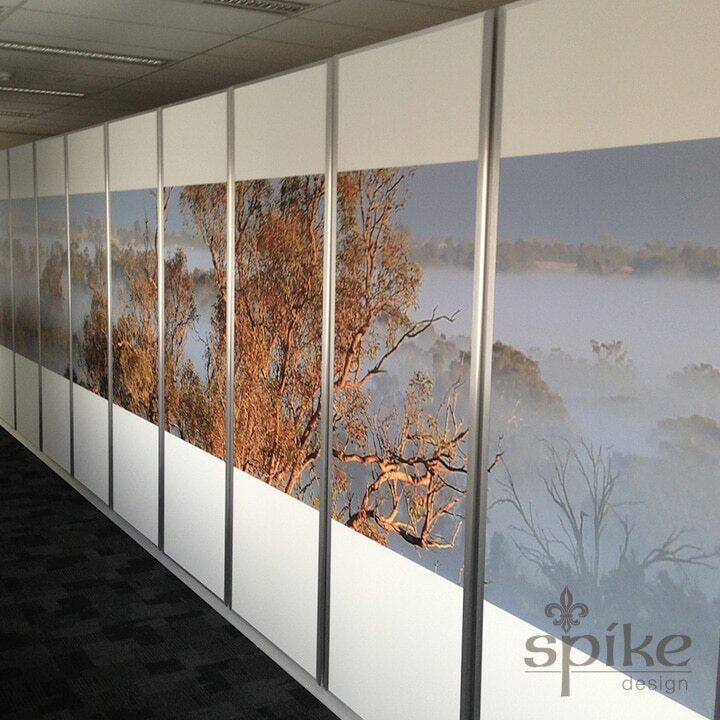 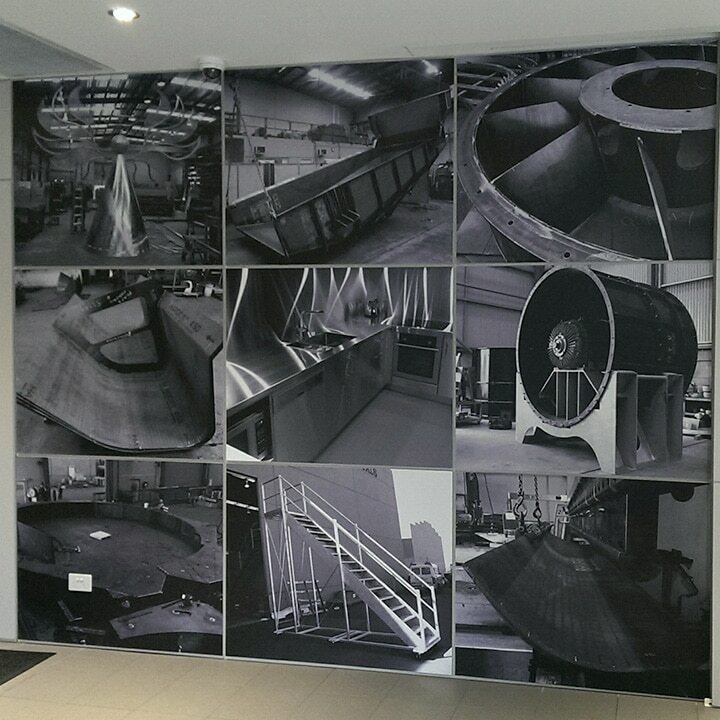 Get in touch today to see how Perth Sign Installers can complete your graphic installation project.